Free apps are all the rage for tablet and smartphone users. But we’ve all heard the stories of unfortunate parents stuck with enormous bills after their children have downloaded expensive paid-for content. I downloaded a free game to my phone recently, whereby the player has to build airports across the world and make money shipping cargo. Granted, it doesn’t sound too thrilling, but I found it quite addictive. Before I knew it, I found myself paying £3.70 to download virtual currency, enabling me to hurry through the slow initial stages of the game. I soon felt pretty daft, and not long afterwards, I uninstalled the game and vowed not to be sucked in again. Considering my lack of restraint, I wondered how easy it would be for a child to get sucked in too. I think it’s easy to see how one little boy from Bristol racked up a £1,700 bill on his parents’ iPad, buying paid-for in-game extras like currency, extra levels and upgrades. As a result of numerous stories like these, the Office of Fair Trading (OFT) is launching an investigation into downloadable free games. It aims to find out whether children are being subject to unfair pressure to purchase paid-for content. However, the OFT isn’t investigating how easy it is for children to purchase the content. At present, it seems far too easy for children to run up huge bills on phone apps when most default settings on phones and tablets allow ‘in-app purchases’ without asking for a confirmation or password. If you want to prevent this from happening, turn off the default setting, or switch on parental controls so passwords are required for in-app purchases. If you child does run up a bill without your knowledge, contact the app store or manufacturer. If you’re lucky, you may be eligible for a refund. So the OFT won’t be challenging the purchase mechanics, but it will be trying to find out if children are ‘strongly encouraged’ to make purchases while playing free games. It’s also investigating whether these games are upfront about the potential costs involved after the initial free download. Have you played free games on your phone or tablet that encouraged you to download paid-for content? Do you think the responsibility lies with parents to make sure their children don’t run up huge bills? 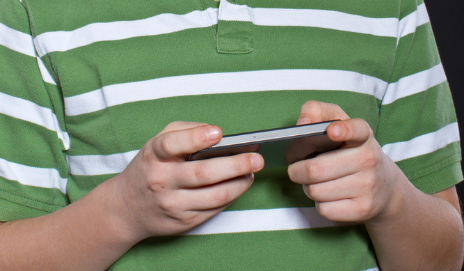 Should a parent be refunded if their child racks up unexpected app bills? I think parents should take their responsibilities seriously – and SUPERVISE their children’s access to the internet – the tools are there – USE them. Two words ‘parental control’ or lack of it for most parents. Watching a four year old sitting on a bus playing on a tablet while the mother plays on her mobile, what ever happend to talking or is it a lost art. I do in part think the games creaters are partly to blame due to greed but parents need to take control. would these parents fill in their credit card details to an on-line sweet shop then let their kids browse unattended for hours ? the reason there are “free”, games and “in app”, purchases is because if the games companies just relied on the money they make from the initial purchase price they would go out of business or struggle at the very least. many popular games cost less than £1 yet people still illegally copy and distribute them. option 1: raise the initial price to make up for lost revenue – effect – people think the price is too high and opt for an illegal copy so the games company gets nothing. option 2: they use annoying adverts that are either present all the time or pop up frequently. parents would probably complain about “brain washing”, their kids in to wanting more stuff. option 4:parents get to read a warning at the start of the intro sequence to a game that needs their permission to turn any “real money”, purchases on or off or even give permission to have a small approved amount for the child to spend if they think it is appropriate. I wonder if the problem here is more of an awareness issue – perhaps the parents who are letting their children play games on their phones and apps don’t realise just how easy it is to buy paid-for content without authorisation. Maybe they assume that any purchases would automatically locked, or perhaps they don’t even realise that these free games offer paid-for content. In these cases, I do have sympathy for the parents involved. Finding out the hard (and expensive) way doesn’t seem ideal. No service: is mobile coverage meeting your expectations?